Preventive Maintenance Alerts Preventive maintenance reminders to extend life of the tank. DIAMETER - 26-5/16" THERMAL EFFICIENCY - Up to 98% NATURAL GAS & LIQUID PROPANE - Yes WEIGHT - 600–650 lbs. Triple-Pass Heat Exchanger Constructed with premium ASME-grade steel to minimize rust and corrosion for extended tank life and maximum thermal efficiency. 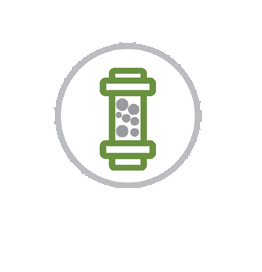 Scheduling Capability Energy-saving scheduling feature adjusts to heat water only during peak operating hours when your business needs it most. EcoNet® Smart Monitoring Technology With Integrated Wi-Fi Exclusive technology provides performance updates and alerts via both mobile device and full-color LCD display. 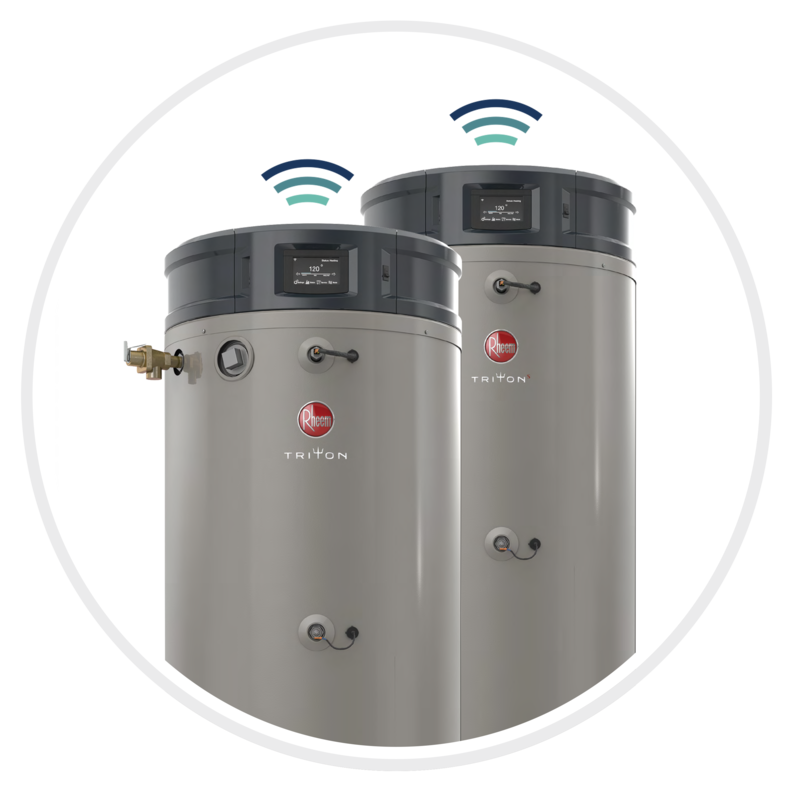 Thanks to this breakthrough product, the history of commercial water heaters will now be divided into two eras: before Triton–and after. LeakGuard™ All-inclusive leak detection and prevention system with proprietary auto shut-off valve limits leakage to no more than 24 ounces of water. DIAMETER - 26-5/16" THERMAL EFFICIENCY - Up to 98% NATURAL GAS & LIQUID PROPANE - Yes WEIGHT - 725–775 lbs. Patented Built-in Condensate Neutralizer Built-in condensate neutralizer reduces water acidity for safe drainage at no additional cost. Multiple Connection Points Multiple water connections at the top, side and bottom of the unit simplify installation. LeakSense™ Intelligent leak detection system catches leaks as small as a grain of sand and provides real-time leak notifications. 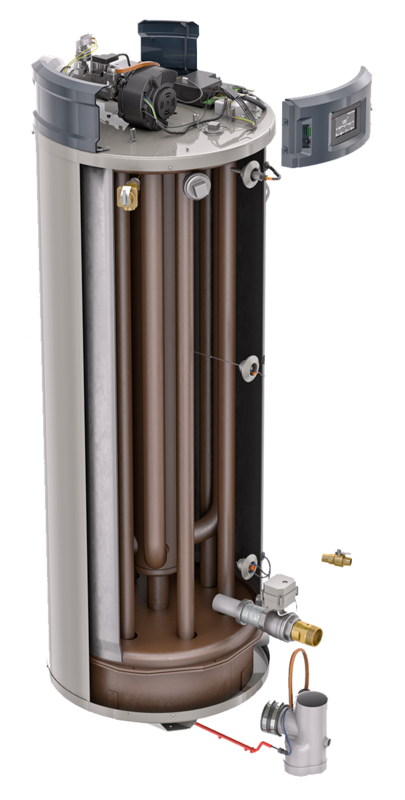 Full Modulation Maximizes energy savings by optimizing BTU/h input for specific water heating demand. CAPACITY - 80 GALLON BTU/h (K) - 130/160/199/300 ALTITUDE - 8,900 FT. NOX - Ultra Low NOx HEIGHT - 67-7/8"
Advanced Power Anodes Self-adjusting, non-sacrificial power anodes provide systematic monitoring of anode health and present remaining life on full-color LCD unit display. 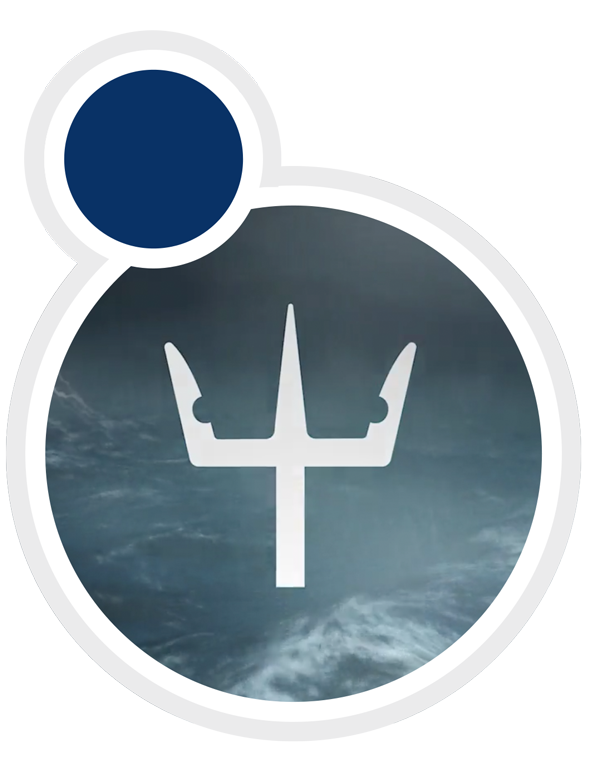 Systematic Health Checks Ongoing self-monitoring of Triton’s most vital components detects and alerts of potential issues. Variety of Venting Options, Including InnoFlue® Flex Venting Ideal for replacement and new installs with a selection of the most flexible ventingchoices, including Polypropylene, PVC, CPVC, InnoFlue® and ABS materials; installed in power direct and power vent configurations and can vent 2, 3, 4 and 6 inch diameters. Energy & Water Usage Reports Track usage trends and manage energy and water consumption through the app. 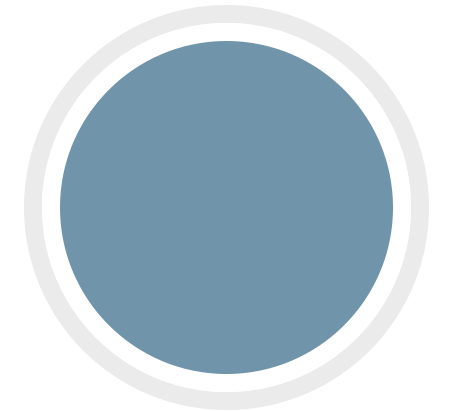 Integrated BMS Connectivity Via BACnet (MS/TP) Built-in BACnet port easily connects to building management systems (BMS). Universal Retrofit Across Brands Replace any brand on the market with multiple water connection points and flexible venting options.